Whenever I am on business in Cape Town I am staying at this guest house if there is a room available and it never disappoints. 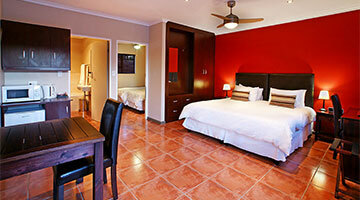 The service is always friendly, the rooms clean and well equipped and the breakfast is well presented and delicious. And what is important to me, it is in a quiet area yet close to major roads. 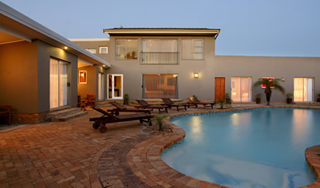 "My favorite place to stay for business visits to Cape Town"
Owner Johannes is very involved and helpful. This B&B is neat and clean, with free wifi and a luxurious pool and entertainment area outside. Great rooms which make one feel right at home. Excellent and thoughtful breakfast menu! 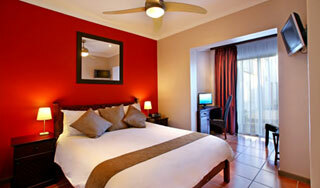 Walking distance from beachfront, restaurants and the MyCiTi bus service. 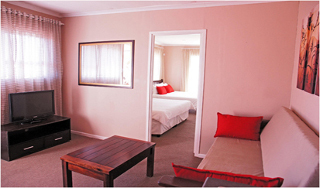 The guest house is situated in a safe neighborhood close to a very nice beach with good views of Table Mountain. I often visit the area and wouldn’t want to stay at any other place. It is smart, serene and calm. "Favorite accommodation choice in Cape Town"
I stayed here for almost 3 weeks and it was truly lovely. Everything is very luxurious and they really pay attention to the little details, making it an overall really lovely experience for the guest. The staff are absolutely amazing! Really lovely people and they also clean the room as if they're doing a full 'spring clean' - yet it happens every day! You've actually never seen such thorough cleaning! Needless to say the place sparkles! It's also set up to feel very much like 'your own home' you come and go as you please with your own sliding door entrance that leads out to the pool. It's very well done. It's very well located, in a super quiet suburb, but close to shops, restaurants and the beach. I was able to manage easily even though I didn't hire a car. I would definitely stay here again. I have stayed at other places in Cape Town but this one is definitively my first choice if they have availability. The rooms are modern and clean with very good facilities and the breakfast is also fabulous. It is conveniently located near the beach and within 20 minutes of the city centre. "Should be a five star guest house!" I recently had the pleasure of spending 16 wonderful days and nights at Alpha du Cap guest house. 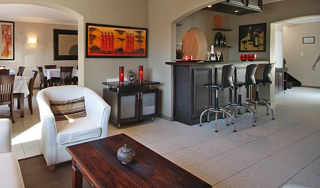 Johannes has worked diligently to make sure that their guests are comfortable and pampered. The rooms are well appointed and immaculate. The bed was the most comfortable I can ever remember sleeping in. The shower is roomy and modern as well as the huge bathtub. The staff made sure that they did all they could as well, to keep me comfortable during my stay. The pool area is beautiful and well cared for. I spent many relaxing hours lying by the pool and enjoying the peace and quiet. Alpha du Cap is situated in a lovely, quiet neighborhood, yet within walking distance to shopping, restaurants and the beach. I might also add that Johannes went above and beyond to insure that I had a memorable visit. I especially enjoyed the delicious breakfast each morning and the endless cups of coffee! I highly recommend Alpha du Cap to anyone traveling to South Africa and the Blouberg area. This is by far one of the better guest houses in Bloubergstrand. Comfortable beds and spotlessly clean rooms. The staff are helpful and professional. 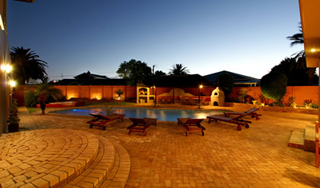 There is a large pool and a very pretty garden with braai and a thatched lapha. The guest house serves a hearty breakfast. I just love this place, the people and the surroundings.